CHICAGO – Dana Kepler, school librarian at Park Hill High School in Kansas City, Mo., is the recipient of the 2017 American Association of School Librarians' (AASL) Ruth Toor Grant for Strong Public School Libraries. Sponsored by Jay Toor, the grant provides $3,000 in funding for the creation and implementation of a local public awareness/marketing campaign that promotes and positions the school library as a necessary resource in the community. During her campaign, titled “Celebrate Strong School Libraries,” Kepler will host monthly celebrations focusing on books and reading. Events include book talks, book discussions, book recommendations, prizes and special guests at each event. The project will launch in May 2017 and include two subthemes: “Strong School Libraries Support STEAM” and “Strong School Libraries Go Global.” One goal of the campaign is to increase opportunities for school library advocacy promoting by student and community participation in library programming. Another goal of Kepler’s campaign is to involve students and teachers in the creation of an original logo and marketing resources. Promotional materials including bookmarks, posters, and flyers will be collaboratively designed by students in Park Hill’s graphic art and principle of marketing classes. These items will be made available to students, faculty, public library patrons, the PTA, district office administration and other community and professional organizations through print materials and on social media. 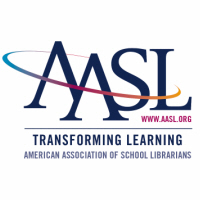 Along with the $3,000 in funding for project creation and implementation, the grant includes $2,000 for both the school librarian and a school official to attend the AASL National Conference. The AASL award winners will be honored at the AASL Awards Ceremony & President’s Program during the 2017 ALA Annual Conference in Chicago. The ceremony will be held from 9 a.m. – 12 p.m. on Saturday, June 24. All are welcome to celebrate the accomplishments of their peers during this recognition event.